MIT has been selected by the National Science Foundation (NSF) as an Innovation Corps (I-Corps) Node, and awarded $4.2 million in order to develop programs and resources that will accelerate the translation of fundamental research to practical applications. NSF I-Corps Nodes are critical in supporting regional needs for innovation education, infrastructure, and research. The program aims to improve the quality of life and increase the economic competitiveness of the United States. Grantees of the NSF’s I-Corps program learn to identify valuable product opportunities that can emerge from academic research, and gain skills in entrepreneurship through training in customer discovery. The program prepares scientists and engineers to extend their focus beyond university laboratories and accelerates the economic and societal benefits of basic-research projects that are ready to move toward commercialization. “It has become more critical than ever for university research to feed innovation that benefits society, especially in tackling the world’s biggest problems. MIT is excited to take a leadership role in advancing this initiative to increase the translation of fundamental research into technologies put into practical use, and to accelerate the time from idea to commercialization,” says MIT Provost Martin Schmidt, who serves as the principal investigator on the award. Since the NSF I-Corps program was created in 2011, more than 1,200 teams, from 248 universities in 47 states, have completed the national NSF curriculum. So far, this has resulted in the creation of more than 577 companies that have collectively raised more than $400 million in follow-on funding. “NSF-funded I-Corps Nodes work cooperatively to create a sustainable national innovation ecosystem that further enhances the development of technologies, products, and processes that benefit society. We are thrilled to welcome another I-Corps Node into the ecosystem to foster ideas in the New England region, and to further support national innovation and entrepreneurial excellence,” says Barry W. Johnson, division director of industrial innovation and partnerships at the NSF. 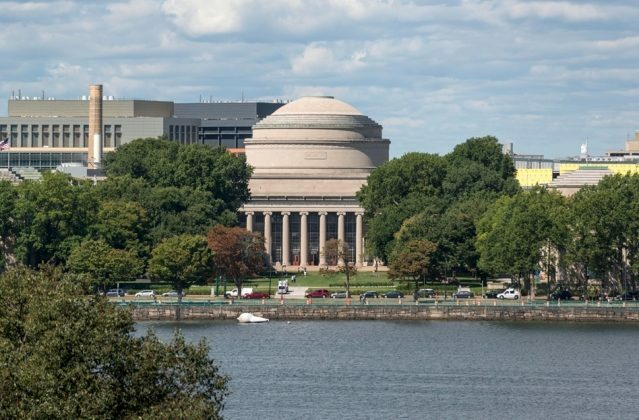 The $4.2 million award to MIT, spanning five years, will allow the Institute to lead the New England Regional Innovation Node (NERIN). NERIN, headquartered at MIT, will contribute to the NSF National Innovation Network as the ninth regional I-Corps Node, and will be instrumental in assisting researchers across the region, with its dense concentration of universities and world-class research. NERIN’s activities will include a variety of short training programs offered across the region, as well as the ability to qualify for application to the prestigious NSF National I-Corps Teams program, which provides an immersive seven-week innovation experience. NERIN will also collaborate with key organizations in the regional innovation and entrepreneurship ecosystem that can provide support and resources to help advance these scientific and technological breakthroughs to achieve societal impact. NERIN plans to add academic partners as it grows. “The NSF I-Corps program is about the genesis of ideas and emergence of opportunities, the birth of new organizations, their evolution into new companies, and the transformation of scientists into leaders. It is also about providing the foundation for future innovation by others,” says Roman M. Lubynsky, who will serve as the executive director of NERIN. NERIN intends to develop programs and resources that will result in increased partnerships between academia and industry. It will reach and influence researchers across New England to consider practical applications arising from fundamental research and to initiate the exploration of getting their inventions and discoveries to the marketplace. The NSF I-Corps program was established in 2011, and connects scientific research with the technological, entrepreneurial, and business communities to help create a stronger national ecosystem for innovation that couples scientific discovery with technology development and societal needs.